One of the best things about Prey is how it gives you the tools you need to get to unexpected places. With a jetpack hover, a pillar of levitating energy, and a cannon filled with hardening adhesive, you can get almost anywhere you want with a bit of imagination. 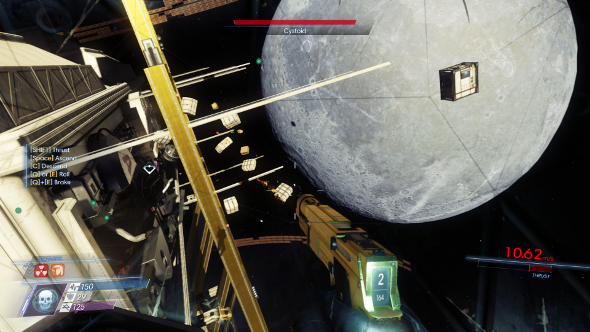 At one point, though, Prey’s levels were fully open, from top to bottom – you could fly. If you like getting creative in your games, check out our list of the best sandbox games. Obviously, the current moveset is already a nightmare for Prey’s artists, as they have to take into account that the player might reach somewhere unexpected in the tall lobbies of the Talos 1 space station. That means they have to make the station look pretty everywhere, but flying multiplied this problem by quite a bit. As PC Gamer point out, you could fly in Bethesda’s Morrowind, but the power has been cut from subsequent Elder Scrolls games, likely for the same reason – it’s damn hard to make work. In the end, I’m glad it was cut from Prey, because it makes the sections where you’re floating around in zero-G feel all the more special.